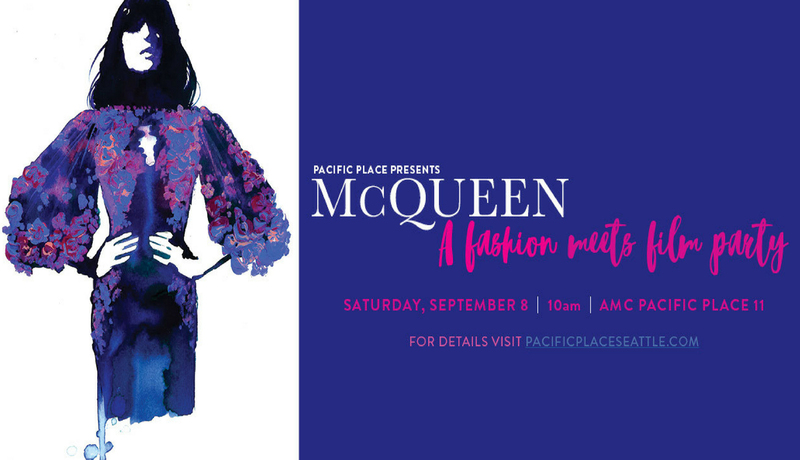 Grab your BFF and join Pacific Place and Seattle magazine for a fashion meets film special showing of MCQUEEN at AMC Pacific Place 11. This critically acclaimed 2018 documentary celebrates Alexander McQueen, the radical genius and his profound influence on the world of fashion. Through exclusive interviews with the designer’s friends and family, recovered personal archives, and artistic visuals and sounds, this deep dive into the mind of McQueen is as elegantly brilliant as the man himself. Enjoy breakfast bites, mimosas, a photo booth, style surprises, swag, and an exclusive fall preview trend show. Doors open at 10 am, fall trend presentation begins at 11am, and then it's showtime! 100% of ticket sales will benefit Forefront Suicide Prevention.